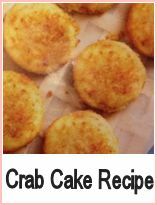 You can of course substitute any type of fish - thai fish cakes are often associated with crab and you could use crab meat instead. Use a wok to fry your fishcakes in as it's fairly economical on the oil. It's likely you won't use the oil for anything else as it will be very highly flavored with the lime and chilli. You can of course strain it into a jar when it's cooled and use it just for thai style cooking if you prefer. 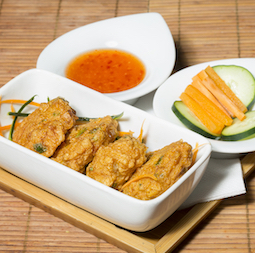 These thai fish cakes can be used as a starter within a larger thai meal, part of a buffet or as a main course for two people depending on your appetite. 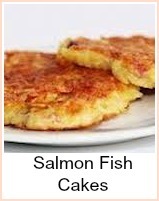 They are full of flavour, not using any 'fillers' such as breadcrumbs or potato. 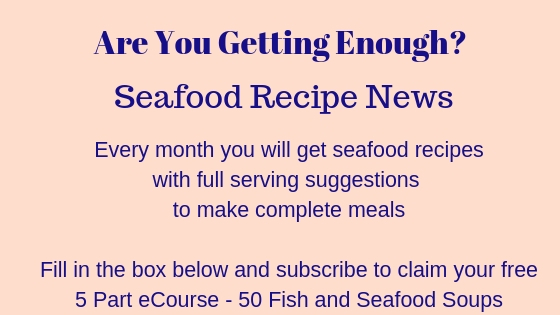 Cut the fish into chunks and blend in a food processor. Add the onions, coriander, curry paste, chilli and lime rind and juice and process until smooth. 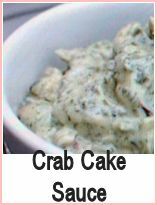 Allow the mixture to rest for a little while - it'll be quite warm from the processing and will stick to your hands. Lightly flour your hands and make the mixture into 16 little cakes or 8 larger ones. Allow them to rest in the fridge for about 1 hour before cooking. Heat the oil until it's smoking - fry the fish cakes for about 6 minutes in total, turning so that they don't burn. Serve this thai recipe on a bed of salad leaves and garnish with shredded spring onions, coriander and lime wedges.